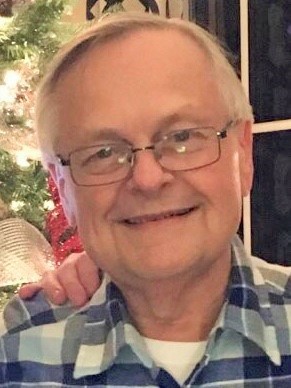 Charles Douglas Head (Doug), 74, of Livonia, Michigan, passed away on March 22, 2019. Doug was born in Providence, Kentucky to Betty and Chuck Head. After living in Detroit and Mitchell, Indiana, he graduated from Flatrock High School and continued on to receive an Associate’s Degree in Business Administration from the University of Michigan/Dearborn. Doug was married to Kathy Coir on Feb. 7, 1965. They were married thirteen years during which they had three children. In 1979, Doug married Betsy Howard on Sept. 7; they were married 39 ½ years and had two children. Doug worked as an Interior Design Trim Engineer for 34 years at General Motors and for 8 years at Ford Motor Company. He received several awards during those years. Doug spent many years working with the NFWB (North Farmington/West Bloomfield) Vikings Little League Football Program. He was the President of the Booster Club for several years. Doug is survived by Betsy Head, his wife, and children Shelly (Ty), Kelly, Jeffrey (Tracy), Shawn (Abby), and Denise (fiancé, Anthony). He is survived by eight grandchildren, Austin (Allison), Maddison, Brayden, Kateland (fiancé, Leo), Samantha (Derrick), Brolen, Olivia, and Bennett. Doug is also survived by a brother, Tom (Maryann) and a sister, Carol (Bill). Doug is preceded in death by his mother, Betty Rosalee Head and his father, Charles Franklin Head. Visitation for Doug will be held Thursday, March 28, 2019 from 4:00 - 8:00 PM at Manns Family Funeral Home, 17000 Middlebelt, Livonia 48154. Doug will be In-State for final viewing on Friday, March 29, 2019 from 10:00 AM until the time of the funeral service at 11:00 AM at St. Matthew's United Methodist Church, 30900 Six Mile, Livonia 48152.